Have you heard the big news? 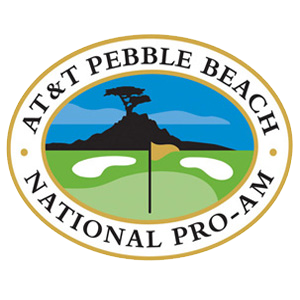 Hole In One International insured a golf contest at the renown PGA charitable event, the 2013 AT&T Pebble Beach National Pro-Am! The contest itself is dubbed “The 3M Celebrity Challenge” and occurred Wednesday, February 6, 2013 at 11:00am. Twelve celebrities (chances are you probably know of at least a few of them… do the names Ray Romano, Bill Murray and/or Kenny G ring a bell?) gathered at the 17th hole at Pebble Beach Golf Links for a chance to participate in a golf shootout contest! If any of the twelve celebrity golfers ended up scoring a hole in one on the 170-yard hole, they would have scored $100,000 for their designated charity, paid for Hole In One International! Golf Contest: A $100,000 Shootout for Charity! The best part about Hole In One International’s hole in one and shootout insurance is that the coverage isn’t limited to one player! Technically, if all twelve celebrity golfers were to have aced the 170-yard par 3 hole, they each would have landed $100,000 for their designated charity — again, compliments of Hole In One International! Want to insure a golf contest of your own? Give us a call today at 800-827-2249 for a free, no-obligation quote or email us for more information! Golf Contest Worth $25K Insured at Golf AcademyDuck Race: A Great Golf Fundraising Promotion!